International MinD Conference 2019 – Call now open! This project aims to help people with dementia engage in social contexts to improve psychosocial wellbeing. People who are affected by Alzheimer’s disease or other dementias often face cognitive, behavioural and psychosocial difficulties, including impairment and degeneration of memory and of perceptions of identity. In a social context, this can cause difficulties of recognizing, relating to and empathising with other people. These difficulties often pose a challenge for engaging socially, reinforcing their effects and reducing personal well-being. Design can offer novel ways of complementing existing care approaches to empower people with dementia in everyday social situations. 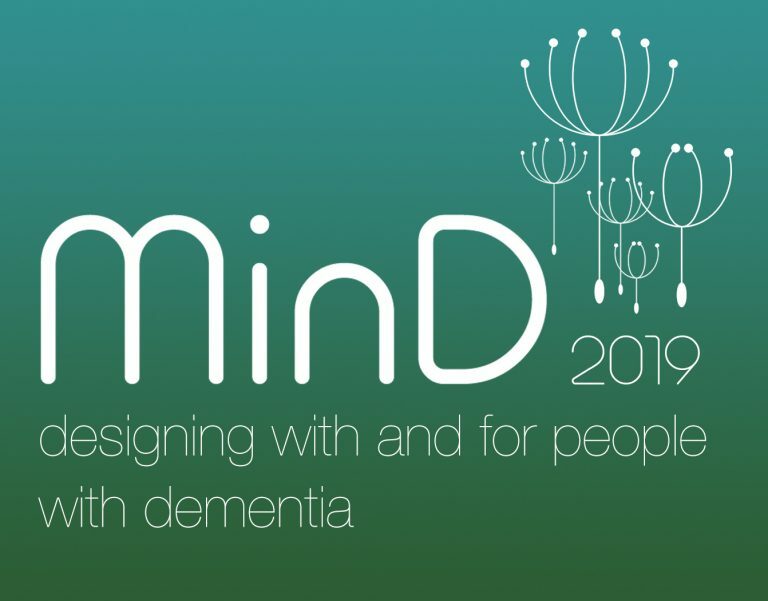 Utilising the concept of mindful design, we will investigate innovative design solutions to enable self-empowerment and confidence building of people living with dementia. We will specifically focus on two areas: a) personal difficulties with social interaction and b) environmental influences on social engagement. In these two contexts, we will study how personal, wearable designs can help mediate perceptions of identity and emotion management; and how environmental aspects can reduce feelings of information overload and instill feelings of self-empowerment and control. The outcomes and benefits of the project will include: the development of new uses of design for helping people with dementia to engage socially and improve subjective well-being; the presentation of a robust methodological co-design framework for the development and evaluation of the designs in dementia care settings; the development of a holistic mindful model of designing and of a model for mindful care for social engagement for people with dementia; policy recommendations for the inclusion of design within dementia care. This groundbreaking project will be enabled through an innovative interdisciplinary consortium of academic and non-academic partners that combines research in product and environmental design, ICT, dementia care and psychology.